1720 Tarpon Bay Dr S 3-101, Naples, FL 34119 (MLS #218055373) :: Clausen Properties, Inc. 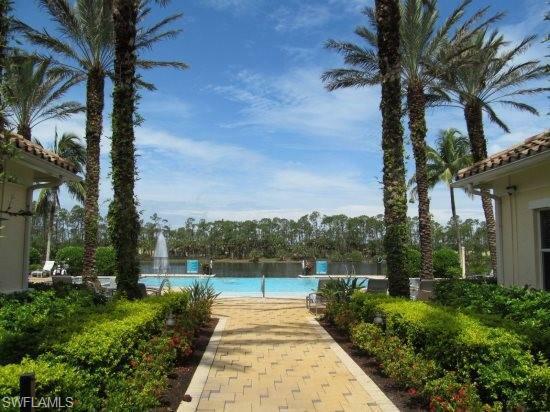 AVAILABLE FEB 16 2020 ONWARDS !Quiet, GROUND FLOOR, 2BR/2BA condo, in the gated Tarpon Bay community with access to outstanding Castaways Club and Pool. This tastefully furnished coach home features two bedrooms plus den with additional TV, and an attached single garage. Kitchen is upgraded with granite counters and breakfast stools and is fully stocked with dishes and appliances, including a favored gas stove. Linens and towels are provided throughout the home. There is a separate six seater dining area and the spacious living room provides ample seating and has a flat screen TV. The living areas are tiled throughout and there are tasteful window treatments in all rooms. The master bedroom features a king bed,TV and a bathroom en suite with separate tub and shower. The queen bed guest room has its own bathroom with combination tub/shower. The office/den houses a TV and leather sofa and there is wi fi throughout the home to stay "connected. There is a separate laundry room with washer and dryer. Tarpon Bay is a master-planned, gated community located in North Naples off Immokalee Road. Castaway Club features a private sand beach, fitness center and business center.